It might have a history stretching back over 700 years, but Düsseldorf is a thoroughly modern German city. Boasting some of Europe’s most impressive modern architecture, sizzling nightlife and a thriving arts scene, this booming city is quickly becoming one of Germany’s liveliest metropolises. Stylish designer boutiques, unique cocktail bars and hip cafes abound, sharing space with traditional beer houses and old-school Teutonic restaurants - and it’s this combination of ancient and modern, classic and cutting edge, that gives Düsseldorf its unique character - along, of course, with Alter, the local brew that’s acknowledged as among the very best in the world. 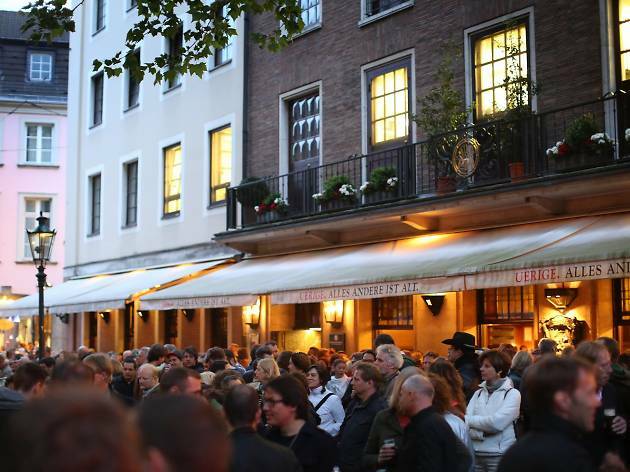 Pay a visit to the traditional beer halls in the Altstadt (Old Town) and sample the local version of the highly celebrated Altbier. Unlike most German beers, this brown ale is served in short 6oz glasses. Fear not though, the second you finish one, you’ll automatically be served another by the attentive Köbes (waiters). It’s a smooth, malty brew that you’ll find surprisingly easy to drink a few of in no time. 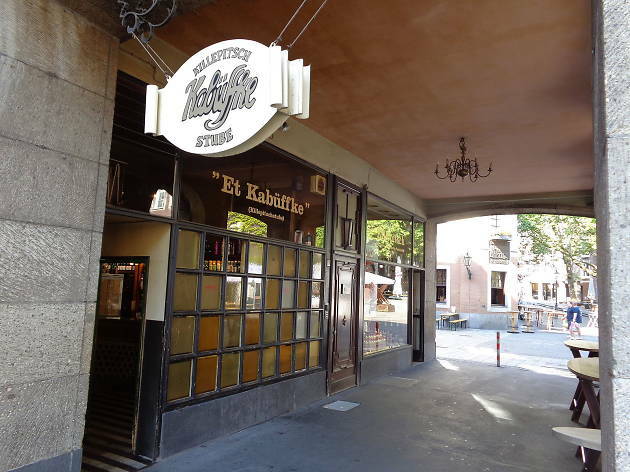 Of the many beerhalls located in the Old Town, Zum Uerige is a favourite for many and has been brewing its Altbier onsite since the 1860s. If you’re looking for something a little stronger, look for the word ‘Sticke’ which means ‘secret’. This maltier version of traditional Altbier is available seasonally (Autumn and around Lent) and usually isn’t listed on the standard menu. 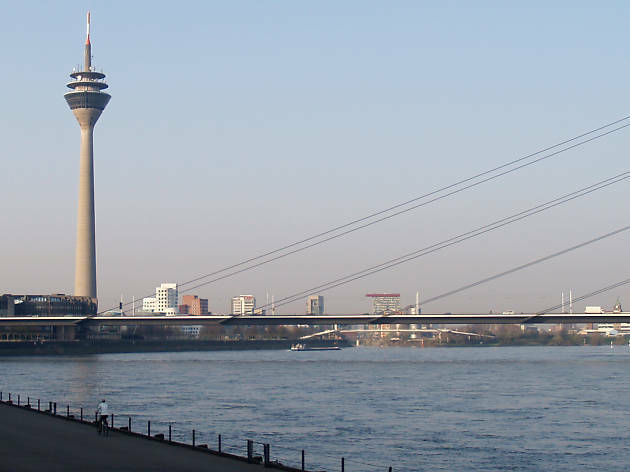 Hop aboard a sightseeing cruise of the Rhine for one of the best perspectives of Düsseldorf. Sure, it’s a bit touristy, but there’s no better way to see the city—especially the cool postmodern architecture of the MediaHafen—than from the water. Bonus: most cruises include free, unlimited booze. 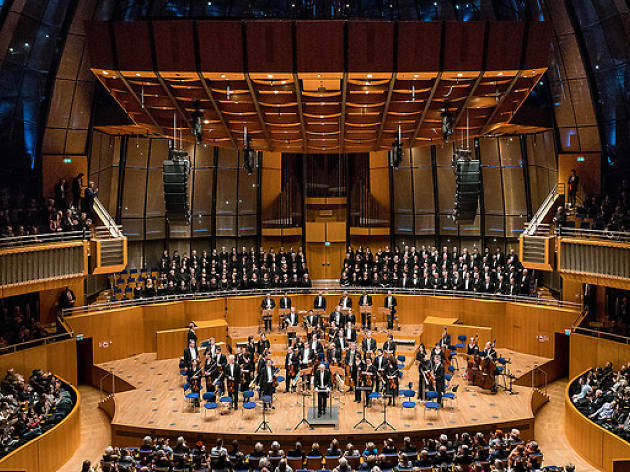 Tours range from 45-minute panoramic tours of the city to longer afternoon and dinner cruises; there are also day trips to nearby Kaiserswerth, Duisburg and Cologne (which operate seasonally). The two main cruise companies are Weisse Flotte and KD and all boats leave from the Burgplatz pier on the Rhine Embankment, close to the Aldstadt. If it’s warm enough, you’ll want a seat on the top deck for the best views—get there early and line up to snag one. Head to the atmospheric Et Kabüffke bar and order an ice-cold shot of famed local liquor Killepitsch. Similar to Jagermeister but with a ruby-red colour and sweeter, spicier taste it’s an acquired taste. Don't worry if it’s not to yours though; this dimly-lit bar in Altstadt is still well worth hanging around for another drink or two. Go elbow to elbow with the locals at the long curved bar or head up the narrow spiral staircase to the intimate upper level, which is perfect for people watching the crowds down below. Those that know order through the tiny square window from outside and sip their Killepitsch stood at an alfresco table. If you like the taste of this Düsseldorf specialty, you can buy a bottle or two from the Haus zum Helm store next door. Late-afternoon kaffee und kuchen (coffee and cake) is sort of the German version of British afternoon tea. Around 4 or 5 p.m. on weekdays, cafes all around the city fill up for the time-honored tradition of a leisurely cup of coffee with a slice of cake. 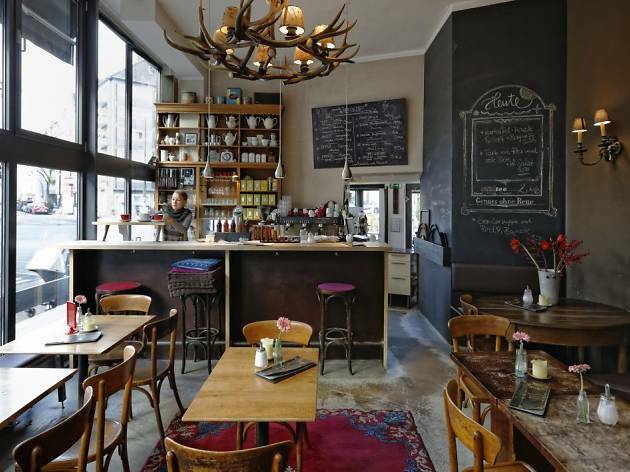 One of the best spots to indulge is Café Hüftgold, in the bohemian hood of Flingern. In this airy, modern space, you can choose from eight to 10 cakes baked fresh each morning—look for fruity versions in summer, and spiced versions in the colder months. The café also makes cakes without milk and/or flour—perfect for those with dietary restrictions. Locals and tourists alike flock to this foodie paradise, occupying an entire square just south of the Old Town. Beneath a glass canopy, vendors hawk local produce, meats and cheeses, freshly baked goods and more types of potato than you ever knew existed. You can also chow down on all kinds of international fare such as currywurst, daal or crepes. The market is a great place to pick up gourmet souvenirs, like dried beans from Inka & Mehl, spices from Kräuterhexe and coffee (roasted onsite) from KaffeeReich. 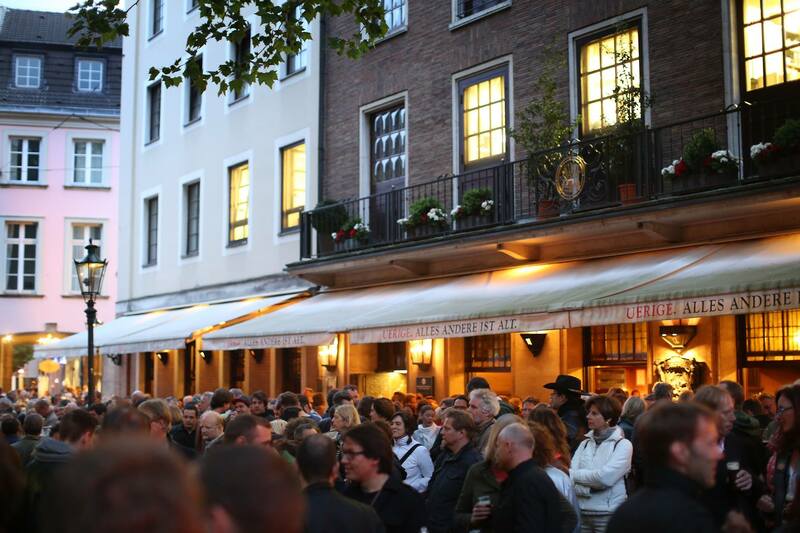 Oh, and that queue you see at the Fischhaus Obst stall is for its stellar fish soup—be sure to join the line. You can drink at great heights while soaking up amazing views of the city from one of the many sky-high bars in the MedienHafen (Media Harbor). 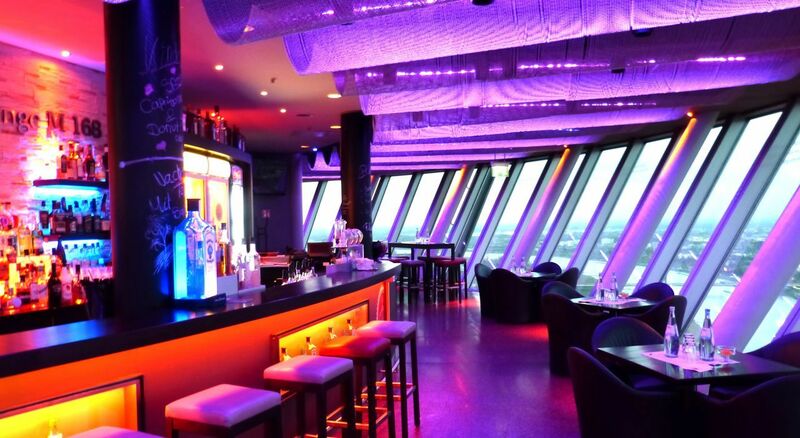 The best-known (and most popular with tourists) is Bar & Lounge M 168 in the Rheinturm, Düsseldorf’s iconic needle-shaped telecommunications tower. 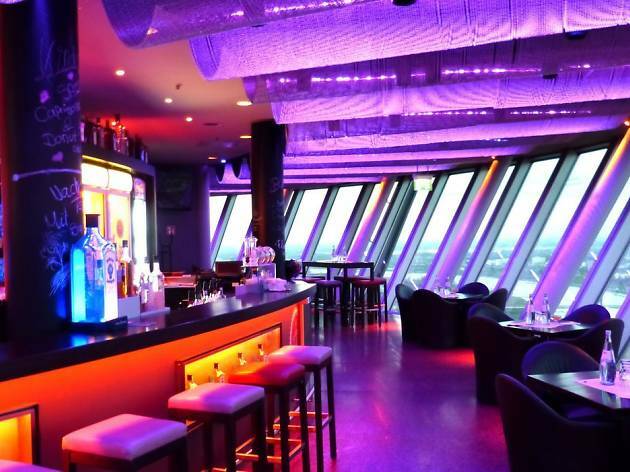 The sleekly designed M 168—so named because it rises 168 meters (or around 550 feet) above the city—offers a 40-cocktail-strong menu that’s relatively affordable considering the stellar panoramic views (drinks average around 12 euro). If you’re headed to a meal at Schweine Janes, arrive hungry, because this is serious German comfort food and the portions are enormous. Never mind the ambiance—or lack thereof—you’re here to eat: grilled leg of pork, roasted pork, pork liver, wiener schnitzel, pork on a skewer, and that’s just one corner of the menu. 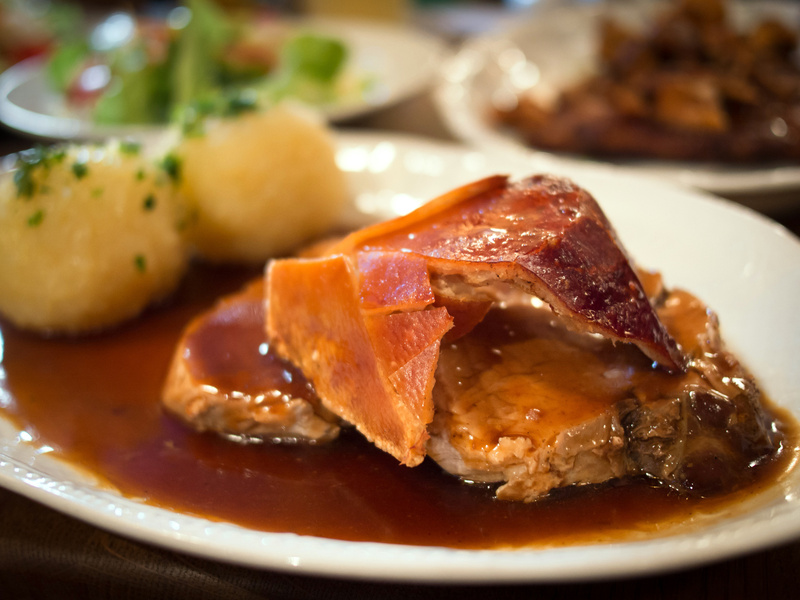 Top marks go to the schweine brötchen, tender chunks of breaded pork on a soft roll, but the schweinehaxe is a true rite of passage: succulent pork knuckle roasted on a spit and plated with Germany’s ubiquitous potatoes and sauerkraut. If you’re not into swine, there are other choices, including meaty beef goulash and roasted chicken. For “lighter” fare, order from the cheaper snack menu: a simple currywurst or bratwurst on a bun. 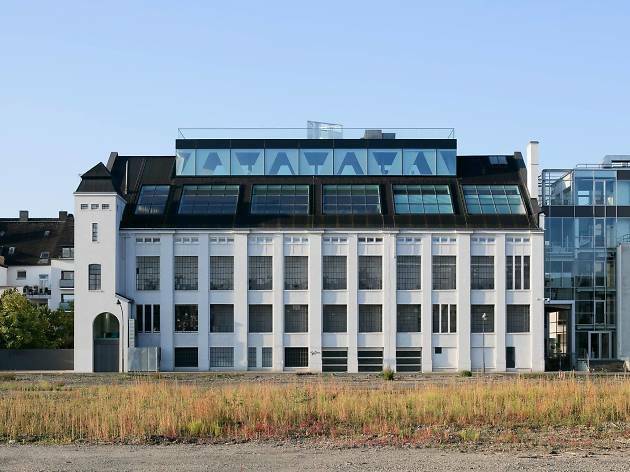 This seriously cool space for cutting-edge contemporary art is set in a converted glass factory in the hipster neighborhood of Flingern. 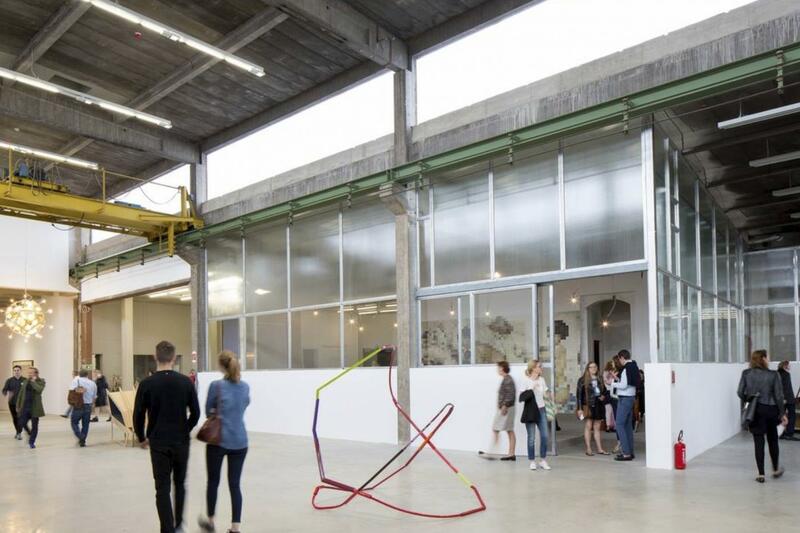 The gallery sprawls across 20,000 square feet (plus a seasonal rooftop sculpture garden), and includes both established and emerging Düsseldorf artists, along with top international talents. The 1,300-odd works in the private collection—by the likes of Andreas Gursky, Thomas Struth and Matthias Bitzer—are continually rotating, but several of the larger pieces remain on display, like the psychedelic, immersive installation “Artichoke Underground” by American artists Jonah Freeman and Justin Lowe. You can visit the collection Thursday from 4 to 8pm (without a guided tour) and Friday to Sunday, when a guide is required. There’s only one tour given in English (on Friday at 4pm), so be sure to book ahead online. The gallery’s bar/café Glas Lennarz, which serves a killer eggs benedict and excellent cocktails, stays open until midnight on Thursdays and even later on Fridays. 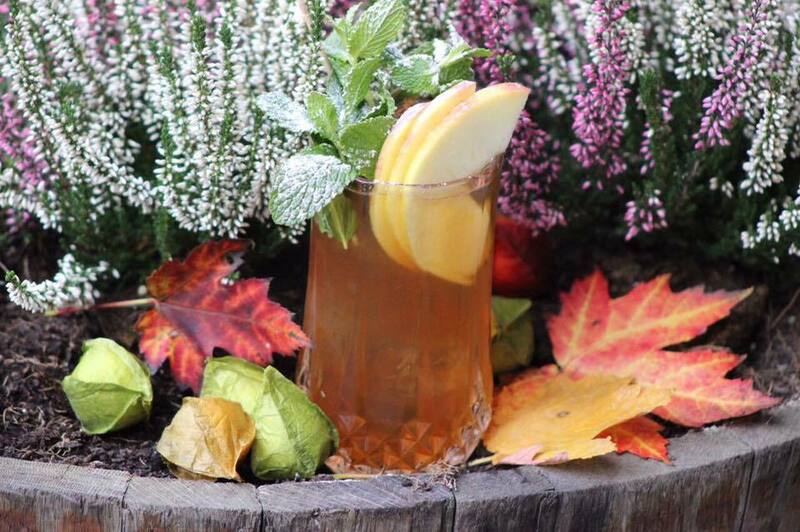 Its outdoor terrace, overlooking disused railroad tracks, is a great place to hang out on warm evenings. Don’t miss the pixilated artwork on the bar’s main wall—to fully experience it, snap a picture on your phone, then look at the rather scandalous resulting image. Break out your camera to capture the spectacular graffitied walls and building facades of Kiefernstraße in Flingern-Süd, the center of street art in Düsseldorf. 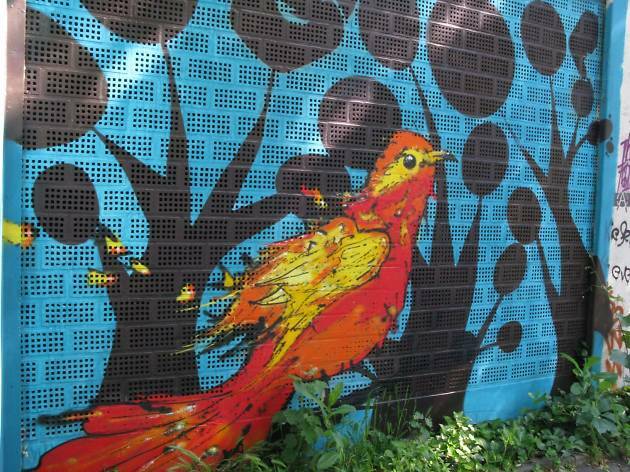 This formerly rough-and-tumble area was once a haven for squatters and gangs in the 1980s; they’ve since cleared out but the radical streak is still alive and well in the murals spray-painted on the long stretch of wall that runs along much of the street. Opposite the wall and running the entire length of Kiefernstraße are wildly colorful and intricately patterned building exteriors painted by squatters and artists, many of whom now have apartment leases here. This street is also where you’ll find Düsseldorf’s last remaining punk rock club, AK47, at Kiefernstraße 23, which has been around since 1983. 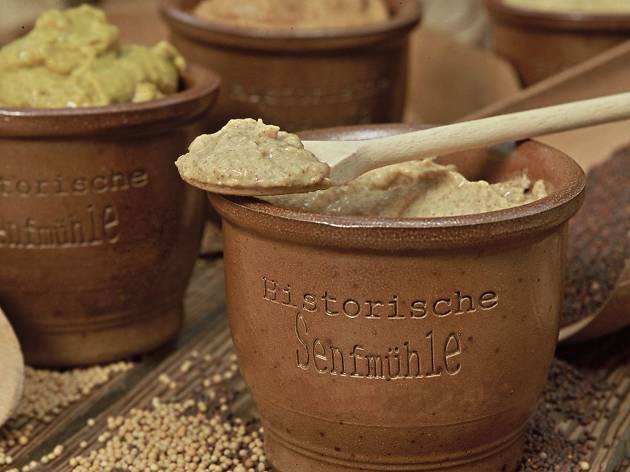 Stop by the Mustard Museum in the Altstadt to taste—and pick up a jar or two—of Germany’s most famous condiment. Here you’ll find a slew of mustard varieties—more than you ever knew existed—from the classics (mild, medium, spicy) to quirkier flavors such as honey and dill, sherry, and coconut curry. Also look for the special Mustard of the Month, and unique flavors during the winter holidays, like mulled wine mustard and Christmas mustard made with clove and cinnamon. 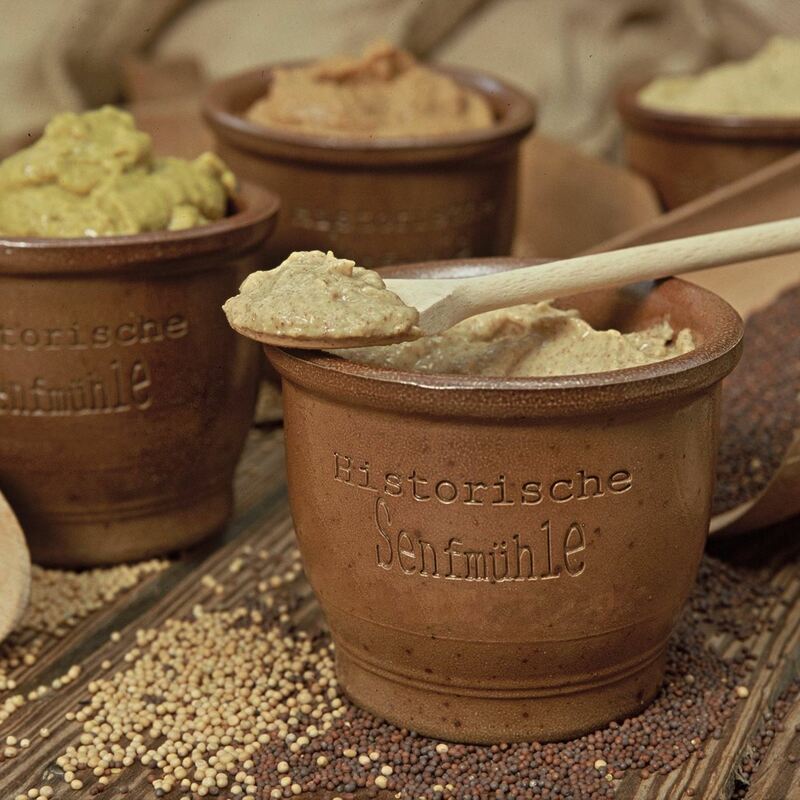 While most of the products are from Löwensenf, a well-known Düsseldorf mustard company that was founded in the early 1900s, you can also find smaller, rarer labels including ABB and Radschläger. The “museum” part is toward the back of the shop, and includes historical photos, details of the mustard-making process and best of all, a display of old glass and ceramic mustard jars, including a centuries-old stoneware pot emblazoned with “ABB,” a brand that’s been around since 1726. Queue up for the baked goods at the Hinkel Bakery, which has been around since 1891 and is now run by the fourth generation of the Hinkel family. 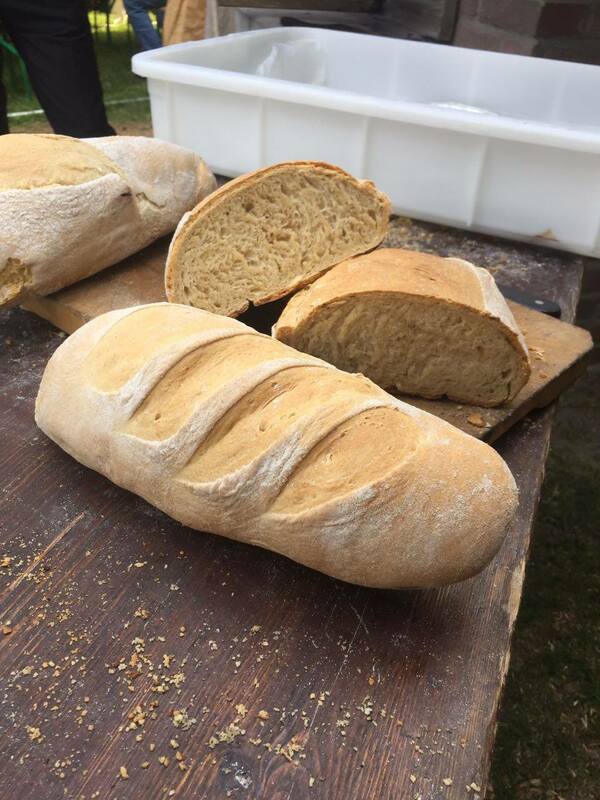 A mind-boggling variety of rustic breads, rolls, pastries and cookies fills the shop windows, display cases and shelves—and everything you see is baked on-site, with special varieties reserved for different days. On the savory end, top score goes to the cheese rolls (whole wheat mixed with grated Gouda) and the bread twists stuffed with spinach or bacon. If you’ve got a sweet tooth, the fluffy brioche made with dried apricots, raisins and almonds (available only on Thursdays) is a winner, as are the Berliners (that’d be a sugar donut filled with jam). There are always interesting seasonal specialty breads around Easter and Christmas. 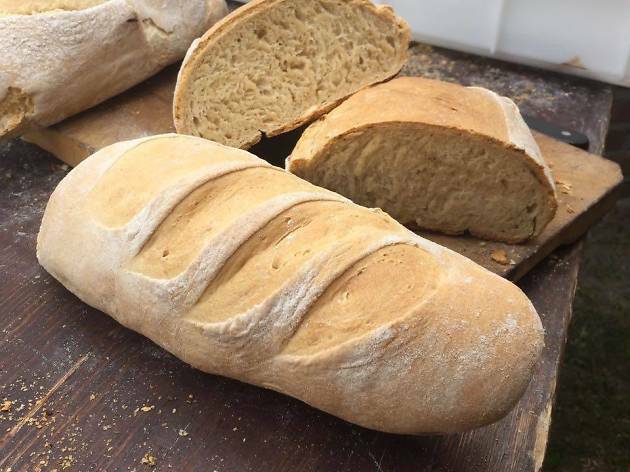 The bakery’s buckwheat bread is gluten-free and is available on Tuesdays and Thursdays. 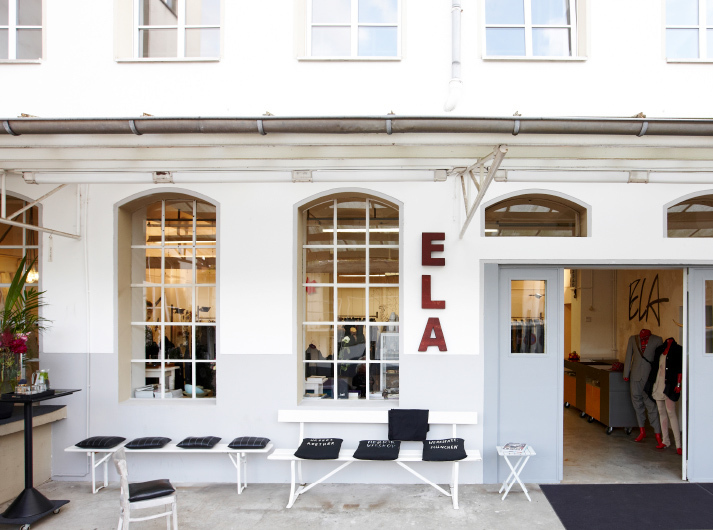 Exchange your boring outfit for a chic new look at the indie boutique ELA Selected. Gabriela Holscher-Di Marco opened the first ELA store in 1977 and her bold unisex designs quickly gained a following among the music set: Kraftwerk wore her shirts and ties for the cover of their 1978 album, The Man-Machine, and Dexy’s Midnight Runners sported her designs in the “Come on Eileen” video. Along with her own line of geometric, one-size-fits-all clothing—sold only here in Düsseldorf—the store, set in the fashionable Unterbilk district, carries hip independent German, Dutch and Scandinavian labels like Butterfly Soulfire, Henrik Vibskov and the Girl and the Gorilla. 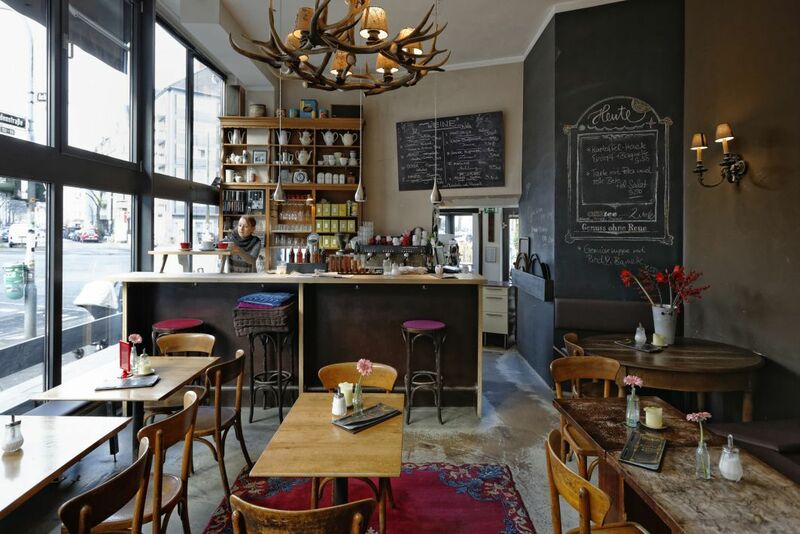 Just a few minutes’ walk is Lorettostraße, lined with trendy shops and smart restaurants, including the particularly tasty (and beautifully decorated) Japanese eatery Adjito, at Lorettostraße 18. 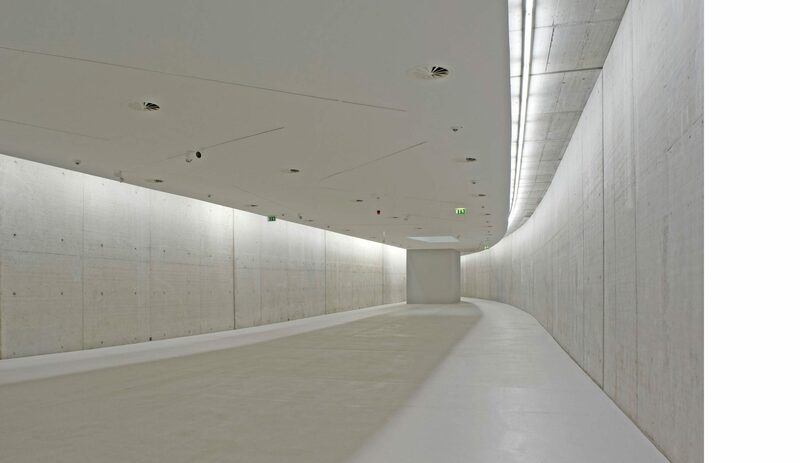 This subterranean exhibition space is located beneath the Rhine promenade. 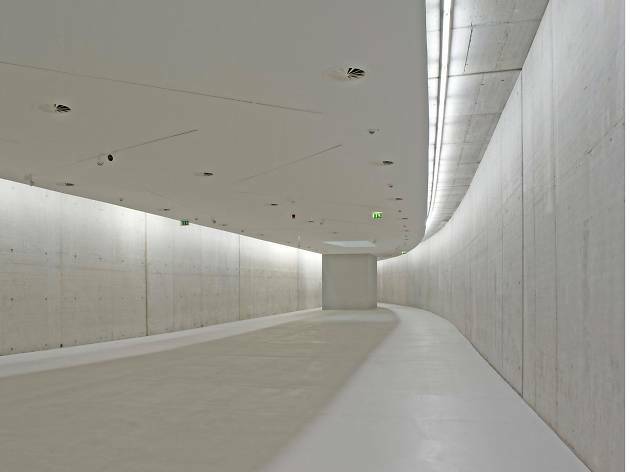 Enter via the KIT café glass pavilion and head down the flight of stairs to the spare concrete-walled gallery, whose unique V-shape and slanted floors are the result of its being nestled between two major road tunnels. The rotating exhibits feature young and emerging local artists, and are a mix of sculpture, painting, drawing, photography and video and art installations. It’s open Tuesday to Sunday, with free admission every second Sunday of the month; private tours in English are available by emailing in advance. The upstairs KIT café has an affordable international menu and regularly hosts live evening concerts. 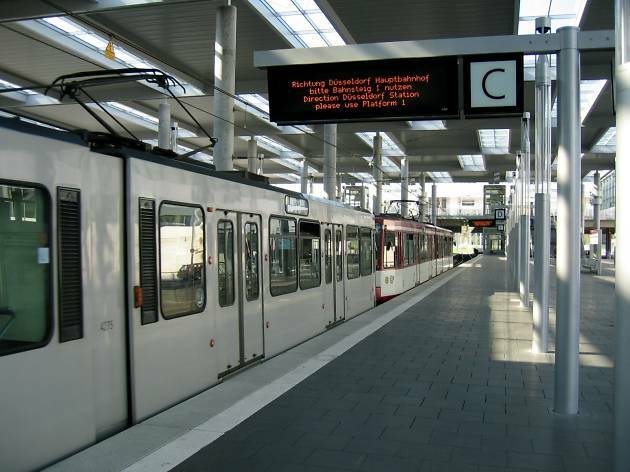 Jump on board the subway and check out the impressive interactive and digital public on display inside 6 U-Bahn stations. 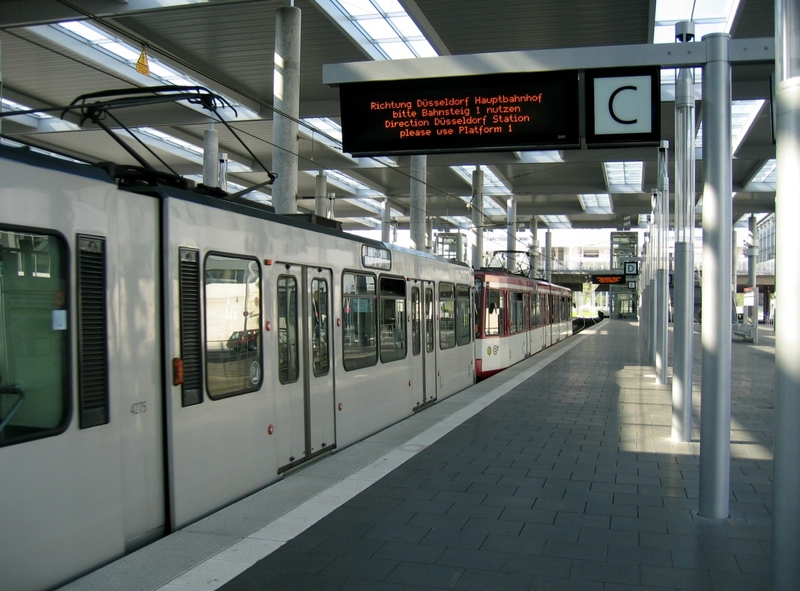 Local artists have contributed an awesome array of video, light and sound installations at Pempelforter Strasse, Schadowstrasse, Heinrich-Heine-Allee, Benrather Strasse, Graf-Adolf-Platz and Kirchplatz stations, all located along a two-mile stretch of the Wehrhahn Line. Our favourite is Thomas Sticker’s 3D animations of the stars and planets projected around the Benrather Strasse station, which gives the illusion that you’re onboard a spaceship looking out. 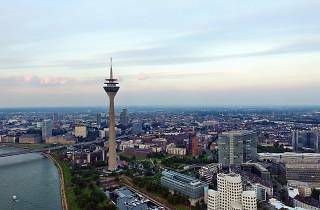 Known as Little Tokyo on the Rhine, one of the largest Japanese populations in Europe (around 7,000) sits in Düsseldorf. The buzzing commercial hub is Japanviertel (the Japan quarter), around Immermannstraße, and is packed with shops selling colorful kimonos and waving cats, sushi and karaoke bars, Japanese (and Korean) restaurants and Asian supermarkets. For a more tranquil experience, cross the Rhine and head to the Niederkassel district, a suburb popular with Japanese expats. 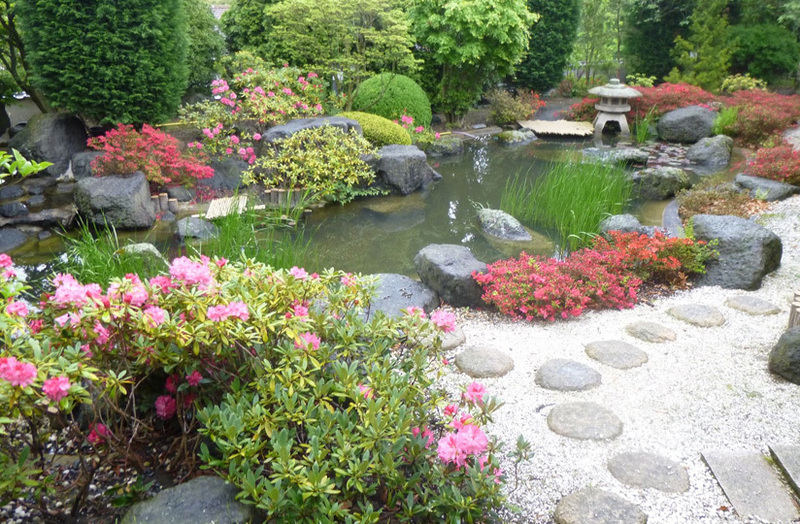 Here you’ll find EKŌ-Haus, comprised of a Buddhist temple, a traditional Japanese house, a Japanese garden and a tea room. 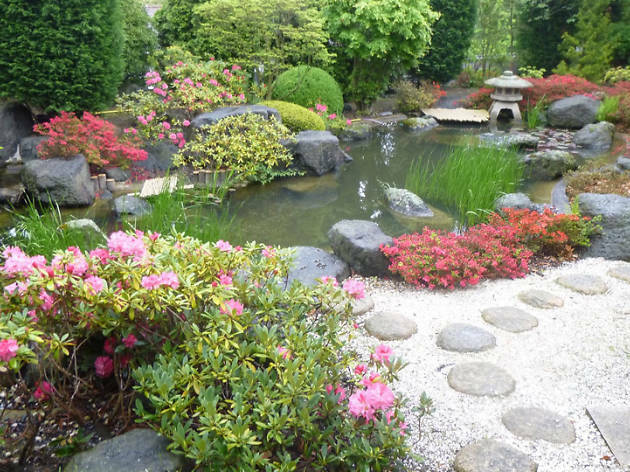 Or take a free stroll through the peaceful Japanese garden in the northwest corner of Nordpark, landscaped with Japanese maples, stone lanterns, waterfalls and a pond. Hungry? One of the best spots for ramen in the city—as evidenced by the queue that forms outside every day at noon—is Takumi, at Immermannstrasse 28, in the Japan quarter. 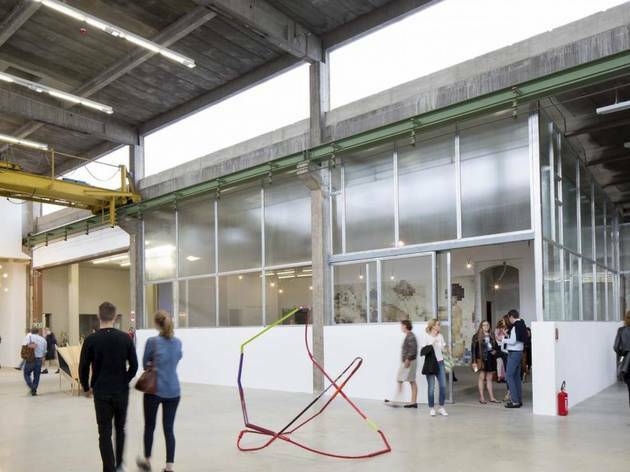 Cross over the Oberkasseler Bridge to the left side of the Rhine and check out the Julia Stoschek Collection, a lofty contemporary art space with a focus on video and multi-media and internet-based installations. 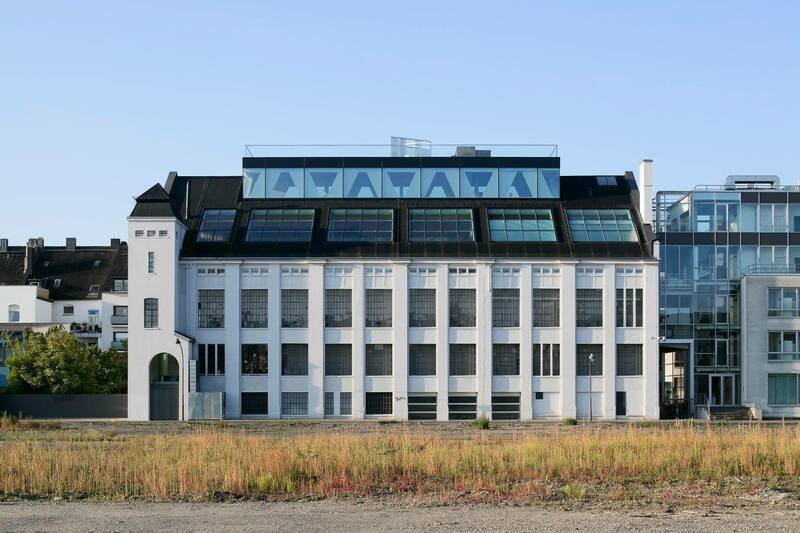 Set in an early 20th-century former factory, the building itself is worth a visit, with a glass-walled rooftop and terrace offering incredible views of the river. Exhibitions change annually, and have included shows by such art-world luminaries as Trisha Donnelly and Turner Prize-winner Elizabeth Price. The collection is only open on Sundays. While you’re there, note the posh Oberkassel district, one of the wealthiest and most beautiful residential areas in the city. It was relatively spared from the WWII bombing that destroyed much of the rest of Düsseldorf, which means its gorgeous original Art Nouveau architecture is still intact, much of it concentrated around the Kaiser-Friedrich-Ring and Kaiser-Wilhelm-Ring. 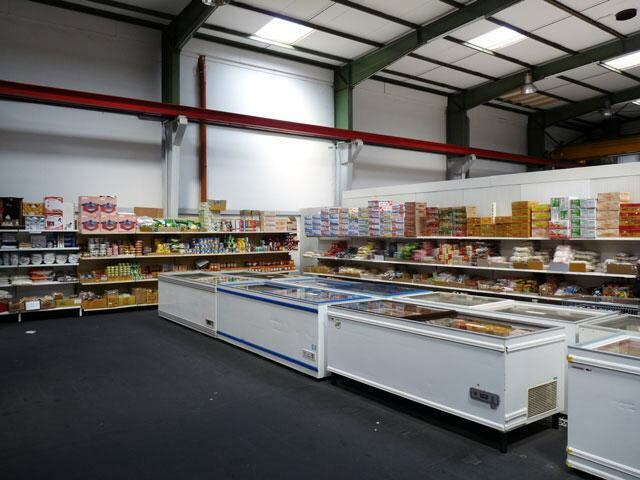 This Vietnamese food wholesaler is in the industrial area of Lierenfeld (about a 20-minute bus ride from central Düsseldorf). 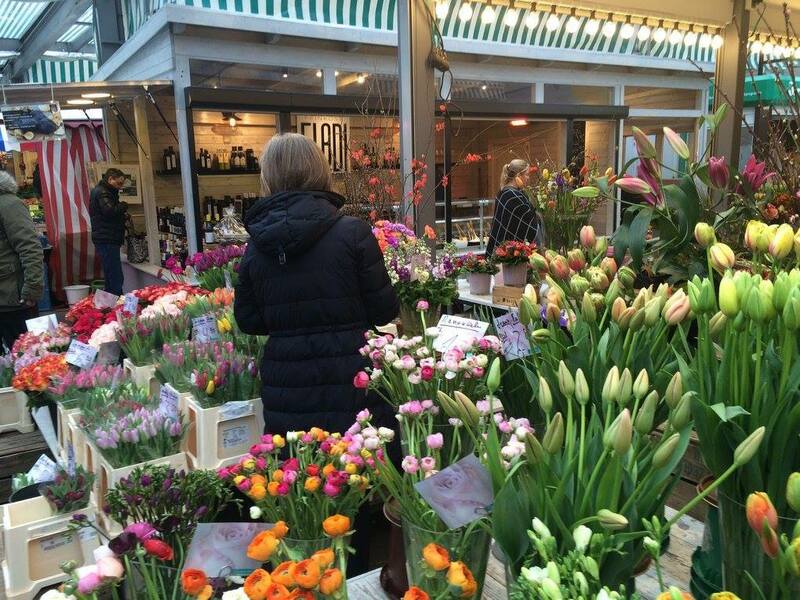 Every Saturday from 10am to 4pm, the market opens to the public to buy Asian produce and all sorts of interesting sauces and spices from Vietnam, Japan, China and Thailand. But you’re not here to shop, you’re here to chow down, so head to the test kitchen in the back of the main hall to sample an ever-changing menu of Asian specialties, including a phenomenal pho soup. If you can’t make it on a Saturday but still have a hankering for authentic Vietnamese, head to Flingern for tasty pho at Street Pho Vietnam, on Daimler Straße, or excellent banh mi sandwiches at An Banh Mi, at Ackerstaße 161. 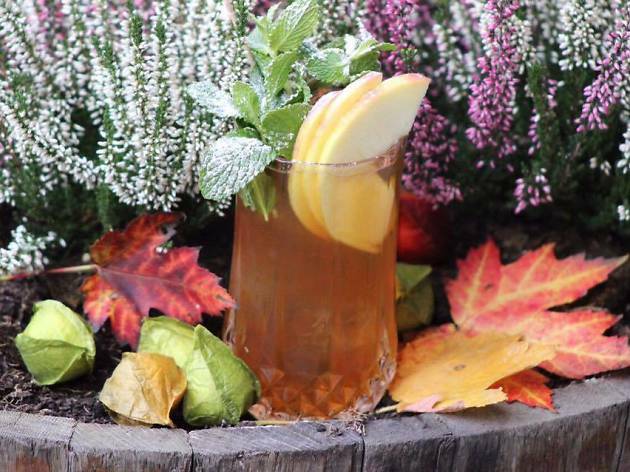 At Squarebar, owner-bartender David Rippen incorporates lots of interesting, seasonal local herbs and produce to craft his unique libations. Look for the green-and-white-striped awning and the gold plaque that marks the entrance to this cozy, chill hideaway. When we say the bar is tiny, it’s no exaggeration: It measures slightly more than 300 square feet, with just a handful of stools and tables. So, yes, you’ll need get here early—it opens at 7pm—for a seat. There’s also a small outdoor terrace which fills up quickly on warm evenings. Every week, Rippen creates a special seasonal drink, and it’s always worth trying—like the recent Muse and Grace, with junmai sake, Noilly Prat, Italicus Rosolio liqueur, fresh grapefruit juice and peppermint cream. 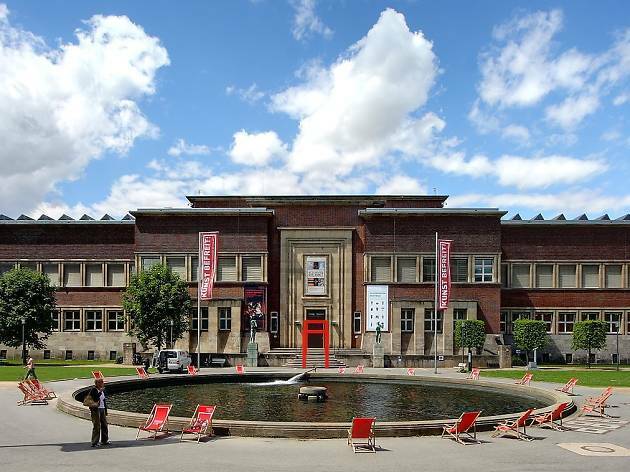 Among its five permanent collections are the Kunstpalast’s picture gallery, featuring European paintings from the 15th to 20th centuries—including Peter Paul Rubens’ magnificent “Venus and Adonis”—and the modern gallery, with an impressive array of German Expressionist paintings. If you don’t think looking at glass would be all that interesting, this museum’s collection will change your mind. More than 3,000 pieces, dating from Roman times through the Middle Ages and Art Nouveau period and up to the present, is one of the most impressive in the world. If you work up an appetite, the KristallBar puts the museum in museum café: it’s dominated by a sprawling 50-foot-tall installation by the Swiss artist team Gerda Steiner and Jörg Lenzlinger depicting the nervous system of a plant, with real branches and roots connected by colorful plastic tubes and wires.